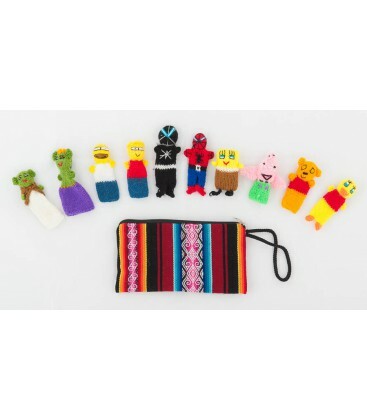 Children need to develop their imagination playing and having fun; these finger puppets, knitted of wool, are the best option for that. Ten cute characters will keep your children company in their adventures and fantasies. 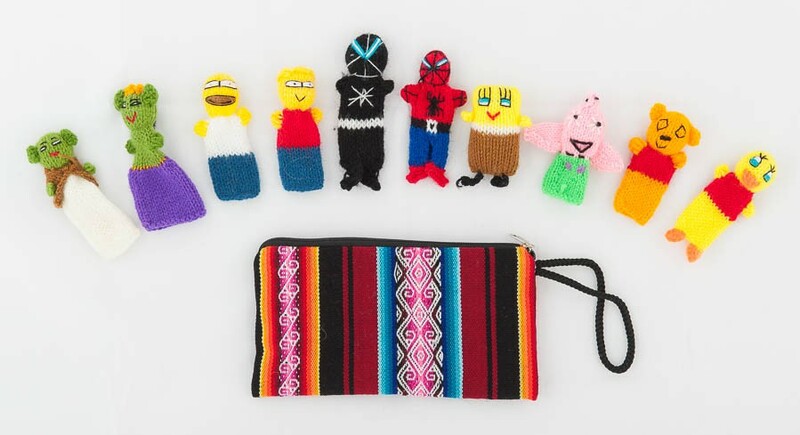 This set has ten attractive finger puppets in the shape of “Super Heroes” that come with a practical bag made of Aguayo (Andean fabric).